Many women experience cellulite. 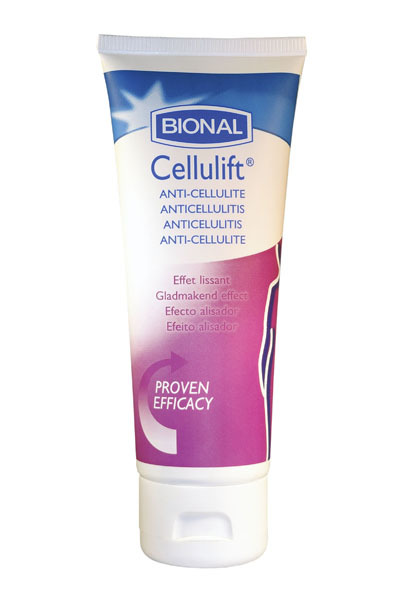 The unique composition in Cellulift® gel-cream, based on caffeine and carefully selected botanical extracts makes irregular skin smoother* reducing the visual appearance of cellulite. The rich gel-cream rapidly absorbs into the skin. *Proven in tests after 8 weeks of use. Take a small quantity of the gel-cream, and rub into the affected areas (thighs and hips) for a few minutes. Apply daily in the morning and in the evening before bedtime.